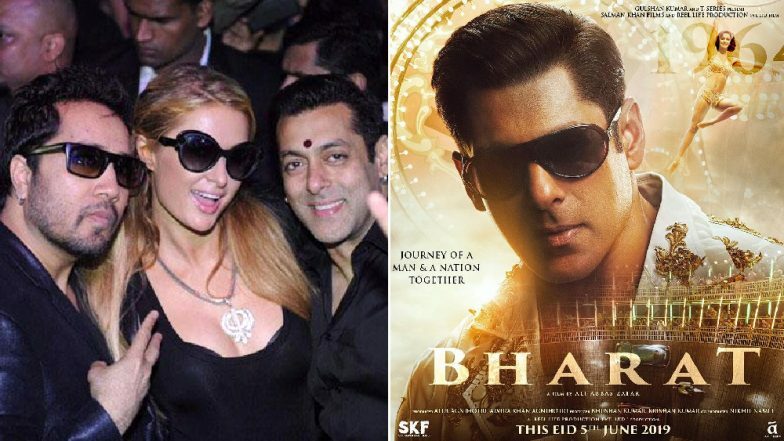 New posters of Salman Khan's upcoming film, Bharat were revealed today. After the first poster showed him as a 60-year-old man, the latest poster sees the Dabangg superstar in an all-new avatar. The poster is all about 'Bharat ki Jawaani'.The actor is looking very similar to his younger days in the industry and fans have been going gaga over this look of Salman. Director Ali Abbas Zafar had previously mentioned that he wanted to recreate Salman's Maine Pyaar Kiya look and we have to say he did accomplish coming close to it. Well, this shouldn't be surprising considering Paris and Salman were quite close back when in 2014, the Hollywood celebrity had visited India. Salman even hosted the star and at a party even gave her Mika's diamond necklace which consisted of the Sikh symbol Khanda. Paris had later tweeted about the same saying, "Thank you beingsalmankhan & @MikaSingh for the beautiful diamond Sikh Khanda necklace! So thoughtful. @MikaSingh I had so much fun too! Thank you so much for the lovely present! I will treasure it forever. Love my new present! Thank you again beingsalmankhan & @MikaSingh. So generous & sweet @ India. "Bharat: Salman Khan Looks Equally Charming as an 'Old Man' and We Bet You'll Agree With Us - View Pic. Although Paris' new comment has sent the internet in a tizzy, this throwback only shows us why Paris commenting on Salman's post shouldn't actually be surprising. We would love to see Paris visit India again and party with our superstar. What do you think?